Category: V, A, MSR - Three Words post-ep kinda. Disclaiming all: Chris Carter owns M&S; Fox owns The XFiles; I own this story. No infringement intended. Thanks to: Euphrosyne and Kim, for beta; Weyo, for oohing and aahing; Connie and Peggy for the test-drive, Uncle Chris for the angst. The muddy toes of my new boots graze the edge of a rectangle of carefully patched sod. Crusted-over and fading, the track marks of a back-hoe creep toward it through the meticulously manicured grass. My name is still on the headstone, of course. It marks the spot where, without question or Y-incision, she left me behind. Left me, in my favorite suit, under layers of sod and snow and sky, to rot. Now I'm back, like Night of the Living Dead. I'm not hungry like the zombies, but I envy them their sense of purpose. It's cold for April in North Carolina, low fifties with a brisk wind. I button the collar of my jacket, but it's hard to stay warm out here in the open, standing in the middle of all this unforgiving stone. I shove my numb hands in my pockets and listen to the hum of distant traffic, soaking up the ambiance of super-green grass and twittering urban fowl. It's never been more obvious to me that this phony tranquility is a show put on for those who are left behind. Somebody stuck this square of perfect landscaping like a freshly-licked postage stamp on the middle of the city just so the living can have a place to come and nurse their regrets. I'm so sorry, mom. I know this is what you wanted. It's exactly what you asked for. I'm sorry, anyway. I look around. I wonder if all these painstakingly shaped boxwoods and ancient oaks made Scully feel better when she buried me here. Right now, they're sure not helping me much. I decided to take this trip yesterday, when I woke up on my couch for the third morning in a row, wondering why I bothered. Sprinkling flakes into the top of the tank, I found myself understanding my scaly companions in a whole new way. Scully would be by in an hour or so, stopping in on her lunch hour to tend me in much the same way I was tending them. After she saw to my needs she would scrutinize me for signs of disease, peering at me intently, attempting to assess my health and well-being. Give me a few extra flakes to show me she loved me. Tap good-bye on the glass and then walk away. Go back to her life with a teary, grateful smile. Her life. Not our life. Last year had its own easy rhythm. The headaches, blurred vision, and alternating shooting pains and numbness started just about the time Scully decided, after all these years, she couldn't keep her hands off me. A couple of the undead tried to make a New Year's buffet out of me, but I got up the nerve to kiss her. My mom killed herself. Scully spent the night in my bed, holding me. I gave up on Samantha and decided to get the hell on with my life. Scully spent the night in my bed, loving me. The neurologist said I was dying. Scully asked me to father her child. Yin and yang, I thought. Give and take. Good and bad, moving along in one-two time. It had a good beat. I figured I could dance to it. The situation was simple, really, so my objectives were simple. All I had to do was get Scully pregnant, die, and then stay dead. 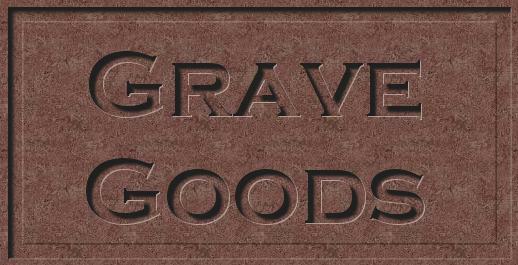 The headstone was what my mother wanted, all of our names in one place, as if carving it in a rock made it real, somehow. Other than leaving directions to have dates for myself and Samantha chiseled in, I didn't make a lot final arrangements. It may seem irresponsible, but Scully doesn't like being told what to do, or how to do it. I wanted her to have the final say. I thought a little bit of control might give her some needed comfort. Still, I had this stupid fantasy. She'd have me cremated, put in a tasteful, understated little jar, and keep me on her mantle. She'd have a picture of me near it, one of the ones where, instead of looking like I'm trying to smile, I'm just smiling. Maybe that one Wilson from Investigative Support took a few years back, the one where Scully's out of frame, telling some incompetent fool about his inadequacies in very thorough detail, and I'm watching her, grinning from ear to ear, because I adore her, and I know she can't see me. I imagined that she'd sit with our cherub/Gerber baby hybrid on her lap, reading a book or playing patty-cake or doing whatever it is you do with perfect, beautiful children, and glance up at what was left of me from time to time. Maybe she'd smile. No matter how hard I tried, it was the only way I could imagine the three of us together. At Oxford we used to play a game late at night. We'd sneak into a cemetery with flashlights and beer, and no one was allowed to leave until they found someone who died the day they were born. It's been years since I played that game, but I've never lost the habit of reading epitaphs. I stop for a moment in front of a tall, ornate headstone, a red granite column with a white marble angel stretched tip-toe on top. HANES, the marker proclaims. The block letters are carved with smug arrogance into the stone, heralding the good news of upper middle-class safety and stability. This is the trophy you get at the end, if you're good, and dutiful, and productive, and thrifty. My father certainly believed that. Look how productive he was. Look how well he took care of his family. My inner Napster was looping 'To everything, turn, turn, turn,' as I sat with my lawyer, very calmly going over my will again. Scully was already my sole beneficiary, but I wanted her to know I was in this, all the way, no matter what I'd said, signed, agreed to, given up, or given away. "Offspring of the union?" Dee asked, for the third time. "You sure that's what you want it to say?" She'd tapped the pen impatiently against her yellow note pad. "There isn't a union, Fox." No legal union, but at that very moment there were 14 ova/sperm special combos sitting in a dish, trying to decide whose nose they were going to get and what they were going to be if they grew up. That was union enough for me. "Pretend there is." I told her. I was wearing my gray suit that day, too. When she stopped by at lunchtime, I hadn't booked my flight yet, hadn't made up my mind as to exactly when I should make this pilgrimage. She surprised me. She invited me to join her for her Lamaze class. Tomorrow morning at nine, she said. I was pleased by her invitation. Scared shitless, but pleased. I didn't understand for a minute why she was suddenly extending it, but she did, shyly, looking down at the floor as if she expected me to say no. As if I could ever say no to her. I turn toward the north parking lot. The only sound as I walk is that of my feet crunching over the pale gray gravel of the pathway. I'll be picking sharp, expensive little rocks out of the soles of my boots all the way back to Washington. I look down at a row of three tiny, worn stones. Rebecca, the first reads in faded letters, Much Loved Daughter. Born February 12, 1891, died December 7, 1896. Emily, the second says. Born April 12, 1894, died December 4, 1896. Beloved Child. The third is slightly larger, slightly more elaborate. There's a lamb carved into the matte white stone, its edges softened and smoothed by time. Isaiah, it says, Lamb of God. Died December 10, 1896, aged 3 days. Must have been a very cold winter. I was going to tell her I had decided to fly to Raleigh when I met her for the class this morning, but around eight-fifteen, as I was getting out of the shower, I noticed the light on my answering machine blinking. She sounded rushed and impersonal. "Mulder, I'm sorry but I hope I've caught you in time. I'm going to need to cancel this morning. I, um, I forgot Byers was supposed to go to this class with me. I asked him a long time ago and I, well, I just forgot. He called to say he was on his way to pick me up and I didn't have the heart to tell him not to. He's been so supportive. I didn't want to hurt his, um, his feelings. I'll be by at lunch, okay? Maybe we can go out. Hope that's okay. I'll see you soon." It's hard to feel purposeful when you see how easily you can be replaced. The path loops up around a huge limestone mausoleum, half-camouflaged in long-dead ivy. Bas relief angels, their wings pitted and pockmarked, adorn its sides. The low stone bench beside it seems as good a place to stop and rest as any, so I do. The words Ad Vitam Aeternam are set along the roof-line in verdigrised copper letters, bleeding a green path down the cold, white stone. Nothing is eternal. I know that now. I rise and start walking. I like to keep moving these days. I told her once. That last night in Bellefleur, I told her. She was draped across me, warm and boneless, trying to catch her breath. I was inordinately pleased with myself, of course, pleased that I could do this for her, with her. Pleased that she'd let me. She sighed finally, a long, slow, contented sound. Every hair on my body stood on end. I pulled her closer. "Feeling better?" She lifted her head, smiled drowsily. "Somewhat," she teased. I raised my hands to her cheeks, ran my thumbs over those fabulous lips. Looking up into her hooded eyes, I planned to tell her again that I loved her. What came out was, "Scully, I'm dying." Her eyes went wide. She blinked twice. "Oh." She frowned. "Why didn't you say something?" "I didn't want to. . ." was all I got out before she rolled off me and burrowed contentedly into the crook of my arm. "This okay?" She kissed my shoulder lightly. "Wha. . ?" I started, lost. "'M sorry, Mulder," she mumbled sleepily, her eyes drifting shut. "Next time, just say something, 'kay?" Yeah. Next time, I guess I will. I pass under a stand of towering oaks and find myself before a tall black granite obelisk. Yellow and purple spring flowers crowd together at its base. McKenzie, I read. Martin, beloved father and husband, is carved into one face; Elizabeth, beloved wife and mother, into another. The third reads Richard Martin McKenzie, born June 10, 1949, died October 13, 1961, aged 12 years. I guess I win the big prize. I continue on, back to where I started, back toward my grave. Cresting a small rise, I stop in my tracks. I lean against the trunk of an oak and lay my face against the rough bark. I wonder if she came here while I was cold in the ground. I wonder if she stood where she's standing now, her feet planted six feet over my head, clutching a tissue to her nose and stroking her belly the way she's stroking it now. Mourning her losses and counting her blessings. I wonder if she thought it was a fair trade. She hears me walking toward her and looks up as I approach a minute later. The relief that washes over her features when she sees me spreads out like sunshine. "Hi," I murmur, not sure what else to say. "Hi," she says, eyes filling with tears. She cries all the time now. It's taking some getting used to. I say it automatically: "Don't cry, Scully." She swallows hard and reaches for my hand. I let her take it, but I can't meet her gaze. My eyes stray instead to the grave where she left me, boring blindly into the rootless grass that covers it. "You scared me," she says hoarsely. "I came at lunchtime and you were gone." "Um, sorry," I answer, surprised by how hard it is to speak. "I was going to tell you this morning, when we, um, but then. . . how did you know to come here?" "Langly ran your credit card," she sniffs. "I didn't think you'd have any other reason to be in Raleigh." "Oh," I mutter. There's really not anything else I can say. We fall silent. "I'm sorry about this morning," she finally says, squeezing my hand a little. I've never found it hard to shrug before. Suddenly, it's awkward. "I, um. . ." I shut my mouth before I say something stupid. She clears her throat. "Since you've, um, been back, I've been really. . .presumptuous, Mulder. I've assumed things that I shouldn't have assumed." As is the case more often than I'd like to admit, I have no idea what she's talking about. Or maybe I just tell myself I don't. I nod, my eyes still focused on the headstone. "I made myself a lot of promises while you were. . .gone." She stops and sniffs and wipes her nose again. "Before, um, before. . .that." She gestures vaguely toward the gravestone with her free hand. "I made a lot of promises about what would happen if. . .when you came back, how it would be. For, um, for us." My chest is tight. Do I really want to know? "How would it be, Scully?" She pauses. "Different," she whispers. I can't help myself. "Different, how?" She is silent a long moment. "I assumed you'd still want me, Mulder." The tissue comes to her nose again. "I assumed you'd want us." Relief floods through me. Easing myself from her grip, I rearrange our joined hands so that our fingers are laced. "You. . ." I begin, then stop. I take a deep breath, trying to think of a way to put it. "You aren't. . .wrong, exactly." "But. . ." she clears her throat softly, "I'm not right, exactly, either, am I?" I close my eyes. How can I explain to her what I can't explain to myself? It's not logical; I know this. It's petty and small and puerile. It's whiney. It's six kinds of selfish. When I was dying, my one hope was that she'd move on with her life. Now that I'm living, I can't believe that she has. "I don't think. . ." I start, then stop to take another deep breath. "I don't think I could have done it." With my free hand, I mimic her earlier gesture, wave in the general direction of my not-so- final resting place. "That. I don't think, if the situation were reversed, I don't think I could have done that. What you did." "Bury you?" She sighs when I nod. "I never thought I'd be able to do it, either." "But you did." It sounds like an accusation. I suppose it is. "Of course I did. It's what you asked for. In your will, I mean. You wanted me to take care of. . .of this. For you." Our hands still linked, she turns toward me, but I can't meet her eyes. "I know that if I asked, Mulder, you'd do something impossible for me, too." I squeeze my eyes shut. "I'd do anything for you, Scully." She reaches up and touches the side of my face. Her voice is quiet, choked. "Anything?" "Then do this for me, Mulder." She lets go of my hand and takes hold of my wrist. She places my palm awkwardly on her hard, round belly, the strong wall of flesh that lies between the world and whoever is waiting in there. The wind stirs her hair. I watch the weak sunlight playing across it. My fingers curl against her. Even through all Scully's layers, I can feel warmth.